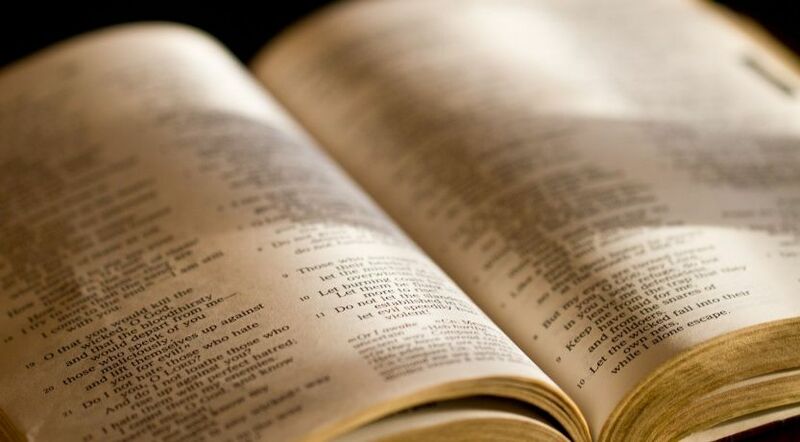 The word “doctrine” appears more than 50 times in the Bible. But what does it mean, and is it important for us today? Is there such a thing as false doctrine? The American College Dictionary defines doctrine as “a particular principle taught or advocated; a body or system of teachings relating to a particular subject; dogma, precept, belief.” So doctrine, in its broadest sense, could be any teaching or belief taught by anyone. But what is doctrine in the biblical sense? Doctrine is mentioned in the Old Testament several times and addressed frequently in the New Testament. The primary Greek word used in New Testament texts is didachē: “In an active sense it means the act of teaching, instructing, tutoring (Mark 4:2; 12:38; 1 Cor. 14:6, 26; 2 Tim. 4:2); in a passive sense, teaching which is given, that which anyone teaches, the manner or character of one’s teaching (Matt. 7:28; 22:33; Mark 1:22, 27; 11:18; Luke 4:32). In an absolute sense, it denotes the teaching of Jesus (2 John 1:9, 10); the Lord (Mark 11:18; John 18:19; Acts 13:12); the Apostles (Acts 2:42; 5:28; Titus 1:9); the things taught, precept, doctrine (Matt. 16:12; John 7:16, 17; Acts 17:19; Rom. 6:17; 16:17; Heb. 6:2; 13:9)” (Complete Word Study Bible compiled by Spiros Zodhiates, 2003). The Latin phrase sola scriptura expresses a fundamental truth. It means that the Bible—Scripture—is really the only authority for the Christian faith. This is what the Bible itself says. Writing to the young evangelist Timothy, the apostle Paul stated, “All Scripture is given by inspiration of God, and is profitable for doctrine [teaching], for reproof, for correction, for instruction in righteousness” (2 Timothy 3:16, emphasis added throughout). Paul adds, “Preach the word! Be ready in season and out of season. Convince, rebuke, exhort, with all longsuffering and teaching [doctrine]. For the time will come when they will not endure sound doctrine” (2 Timothy 4:2-3). Paul realized there were some in the Church under Timothy’s care who were teaching other doctrines (1 Timothy 1:3-7). That means they were teaching ideas that were different from what Jesus taught the disciples. Actually, some of these doctrines were so subtle and so far afield, the Bible called them “doctrines of demons” (1 Timothy 4:1). This verse is more than a comment about what was happening then. It is a prophecy that there would be teachers of doctrines of demons in the end time. That is shocking! Religious teachers will present themselves as bona fide representatives of Jesus, but what they say will not be true! Religious teachers will present themselves as bona fide representatives of Jesus, but what they say will not be true! Paul admonished Timothy, as well as other elders under his care, to continue to teach good doctrine—preaching and teaching the Word of God (1 Timothy 4:6, 13, 16; 5:17; Titus 2:1, 7). All too easily over the centuries, ideas of men (including those of religious scholars and clergymen of various denominations) have crept into Christianity and have become accepted as if they were true doctrine. Recognizing the potential danger of this doctrinal corruption, Paul adamantly instructed Timothy in the strongest terms to guard against it. Paul wrote: “If anyone teaches otherwise and does not consent to wholesome words, even the words of our Lord Jesus Christ, and to the doctrine which accords with godliness, he is proud, knowing nothing, but is obsessed with disputes and arguments over words, from which come envy, strife, reviling, evil suspicions, useless wranglings of men of corrupt minds and destitute of the truth, who suppose that godliness is a means of gain. From such withdraw yourself” (1 Timothy 6:3-5). According to this instruction, anyone teaching doctrines other than those that come from Jesus Christ (that is, from the Bible) should not be allowed fellowship with the Church. And if ministers of the gospel turn from the truth themselves, then true believers should no longer listen to or respond to their teaching. It would take courage, commitment and faith to act properly under these difficult circumstances, but doctrine must be preserved uncorrupted! On one occasion Christ’s disciples misunderstood what He meant when He told them to “beware of the leaven of the Pharisees and the Sadducees.” Jesus went on to explain to them that He was not referring to the yeast used in bread, but to the doctrine of the Pharisees and the Sadducees (Matthew 16:6-12). The doctrine of the Pharisees and the Sadducees was hypocrisy—they taught one thing, but did another (Luke 12:1)! They taught the instructions God gave through Moses (Matthew 23:1-3), but they added numerous regulations that were not from God. These religious leaders were confusing the people as to what was and was not sin. “He answered and said to them, ‘Well did Isaiah prophesy of you hypocrites, as it is written: “This people honors Me with their lips, but their heart is far from Me. And in vain they worship Me, teaching as doctrines the commandments of men.” For laying aside the commandment of God, you hold the tradition of men—the washing of pitchers and cups, and many other such things you do’” (Mark 7:5-8, quoting Isaiah 29:13). Christ thereby showed He did not share the Jewish perspective of equating their traditions (the “oral law”) with the written Word of God. The Bible is the only source for doctrine—not human ideas or human interpretations of the Bible. Jesus had to caution His disciples against the doctrines of the Jewish religious authorities! “Then Jesus spoke to the multitudes and to His disciples, saying: ‘The scribes and the Pharisees sit in Moses’ seat [occupied positions of authority]. Therefore whatever they tell you to observe, that observe and do, but do not do according to their works; for they say, and do not do’” (Matthew 23:1-3). In the remainder of the chapter Christ then gave them several examples of what He meant concerning the false doctrines of these religious leaders. As noted above, doctrinal corruption was not limited to the Jewish religious leaders of Christ’s day. It also plagued the New Testament Church of God. By the second century, a counterfeit Christianity had grown into a major religious system. This corrupted Christianity is so prevalent today that one has to search diligently to find a faith that believes and practices the same as Jesus did. It is that faith to which the Church of God, a Worldwide Association, is committed. Jesus’ teachings, which were based upon and amplified the Hebrew Scriptures, formed the foundation of the doctrine of the early Church. True doctrine is not a matter of personal opinion; it comes from the unequaled authority of God’s Word, the Bible. Biblical doctrine does not change over time, and it has been the same since Christ founded the Church. Jesus’ doctrines were astonishing and shocking to those who heard Him. Notice the response of some after Jesus cast out an unclean spirit (demon). “Then they were all amazed, so that they questioned among themselves, saying, ‘What is this? What new doctrine is this? For with authority He commands even the unclean spirits, and they obey Him’” (Mark 1:27). Christ taught with authority (Matthew 7:28-29; Mark 1:21-22). Apparently, other teachers, including the scribes, did not use this manner of teaching. The Jewish approach was one of debate and arguing over different views of an issue or about a scripture, as well as citing oral traditions for their authority. Whatever Jesus taught is what a believer was supposed to do. Christ’s doctrines were later written down by the apostles and became part of the canonical Scriptures we have today. Doctrine has to come from Christ or the apostles who were taught by Christ. Jesus’ doctrines, in turn, came from His Father (John 7:16). The following is a list of 20 foundational doctrines of the Church of God, a Worldwide Association. This is certainly not a comprehensive list of the doctrines of the Church, but it is a good representation of our fundamental beliefs. A more complete explanation of these doctrines, including biblical references, can be found on our Fundamental Beliefs page. Our website’s hundreds of articles, blogs and commentaries amplify these doctrines. We also have staff to answer additional questions from our website visitors. If you have a question, just ask us. We live in a time when a great emphasis is placed upon “feelings” in all areas of life, including religion. Rarely is the word “doctrine” used, and rarely is true doctrine taught. Jesus inspired John to write: “Whoever transgresses and does not abide in the doctrine of Christ does not have God. He who abides in the doctrine of Christ has both the Father and the Son. If anyone comes to you and does not bring this doctrine, do not receive him into your house nor greet him; for he who greets him shares in his evil deeds” (2 John 1:9-11). Can you imagine how terribly disappointing and discouraging it would be to live what is considered to be a religiously conservative way of life only to discover that you have not been following God’s doctrines? Compare Matthew 7:21-23, where Jesus prophesies of having to tell deeply “religious” people that they were not on the pathway to the Kingdom of God at all! Do not allow this to happen to you. Paul urged people to “examine yourselves as to whether you are in the faith. Test yourselves. Do you not know yourselves, that Jesus Christ is in you?—unless indeed you are disqualified. But I trust that you will know that we are not disqualified” (2 Corinthians 13:5-6). “Jesus Christ is in you” must not be just meaningless words that people mouth. Jesus Christ’s words, His doctrine, must be in you for Jesus Christ to be in you. We encourage you to make time to look into some of the fundamental doctrines of the Bible. A handy place to start is by examining the scriptures listed on our Fundamental Beliefs page. Christian Doctrine: According to Tradition or According to Christ?